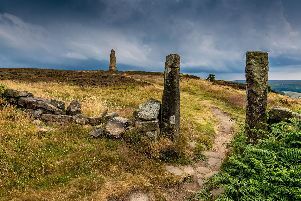 The North York Moors are celebrating National Parks Week with a packed programme of fun activities as the summer holidays begin. From July 25-31, the park’s two visitor centres in Danby and Sutton Bank will host exciting outdoor-themed events. The week kicks off with ParkFest, a free family fun day at the Moors National Park Centre in Danby this Sunday from 11am-4pm, while Sutton Bank is holding MoorFest on Sunday July 31, with storytelling, food tasting and crafts for all ages (11am-4pm). There will be a geocaching treasure hunt on July 31 at the station car park in Robin Hood’s Bay, and weekday events including a beekeeping day, willow weaving workshop, a treasure hunt and have-a-go archery session. “National Parks Week is a great way to celebrate and embrace our national parks across the UK. “This year’s theme is ‘adventure’, which is a lovely way to sum up what our national parks have to offer. “Here at the North York Moors we’re able to provide a number of adventures across moor, coast, forest and dale. Full details of events during National Parks Week, the school summer holidays and throughout the year can be found by visiting www.northyorkmoors.org.uk/parkfest and www.northyorkmoors.org.uk/events.